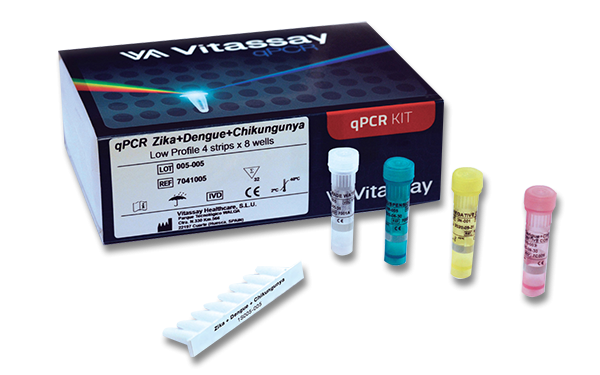 Vitassay qPCR kits are ready to use real-time PCR assays designed to amplify and detect pathogen. Vitassay qPCR Kits contains in each well enzymes, buffer, primer and probes as well as an internal control in a lyophilized format. The kits include a positive and a negative control. Identification of pathogen DNA or RNA occurs by the use of target specific primers ans fluorecent labeled hydrolysis probes which hybridize conserved regions in the genomes of the differentpathogens.